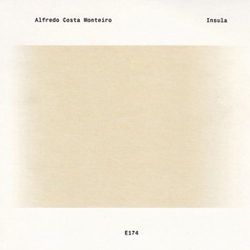 One of the most ambitious of their recent releases is Alfredo Costa Monteiro‘s 40-minute electronic work Insula. Originally created as a multi-channel spatialised composition heard through no fewer than 192 speakers and 12 subwoofers, the piece has evidently lost none of its broad scope in this stereo reduction. Monteiro’s language is indefatigably synthetic, his palette of sounds raw, from which he forms tight bands and clouds of beating frequencies, sometimes eye-wateringly astringent. Unlike so many composers of electronic music, Monteiro allows his material plenty of time to speak, which in turn gives the listener time to scrutinise their qualities in considerable detail. This adds conviction to the steady evolution that Insula undergoes, passing from insect-like pitches to industrial drones and noise, from upfront and personal dynamic affrontery to subdued middle-distance time-biding. Monteiro describes the work as one for electric organ, and that point of origin becomes much more apparent in the second half, where austere chords penetrate the shimmering and bring it into focus, and later hovering in an uncanny sequence of wavering lines. But noise regularly punctures whatever certainties pitch seems to offer, initially in a squalling harsh wall, and finally in a low throbbing band of something indefinable. Also concerned by the interplay of pitch and noise are the two works on Travaux, but here that distinction originates in the bringing together of synthetic sounds with field recordings. Both are concerned with the stuff of legend; L’Hydre de Lerne by Greek artist ILIOS makes a connection to the mythical Hydra killed by Heracles during his labours. ILIOS’ approach initially seems utmost hands-off, allowing vague industrial recordings to continue, seemingly untouched, certainly unhurried, for lengthy periods of time. There are times when this drags a little too much, but gradually one senses the movement from dullness to deliberation, drones overlaid to produce a complex pitch focus. 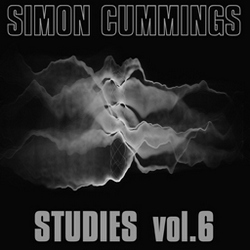 This too is allowed to sit and move ever-so-slowly, and just when one’s patience reaches its threshold, a deep bass drone appears, seemingly coalescing everything above into a harmony, although this could well be a sonic illusion. i spoke before of the benefits of allowing sounds time to speak; here, it seems too much, an indulgence even, and what it all has to do with the Lernaean Hydra is a little hard to say. Francisco Meirino‘s Les oiseaux du lac Stymphale, evoking the mythical birds from Heracles’ sixth labour, is wholeheartedly more convincing. 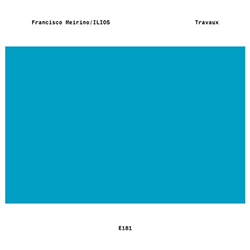 In similar fashion to ILIOS, it opens in blank industrial field recordings, but in no time Meirino shoves into the foreground a huge electronic drone that just sits there, glow(er)ing like a red hot ember, the beating of its upper frequencies speeding and slowing. This immediately establishes a sense of competition between authentic and synthetic sounds, one which Meirino keeps taut for minutes on end, each element gradually upping the ante through increases in density and/or dynamic. Both are abruptly cancelled out, whereupon they recommence in a lowercase environment, each almost trying to outdo the other in terms of restraint. However, conflict without capitulation or conciliation can only escalate, and what follows is a wonderfully slow crescendo where noise and pitch gradually accrete layers of material and momentum, resulting in a dazzling display of drama from what are, ultimately, very simply elements. If this is what it was like coming up against the Stymphalian birds, serious kudos to Heracles. Exceeding both of these fine discs, though, is Dark Camber, bringing together four relatively recent works by Lee Fraser. 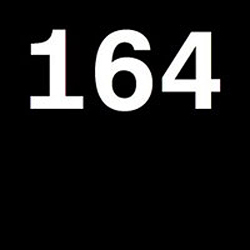 Perhaps unsurprisingly, considering Fraser is a former student of Denis Smalley, his electronic outlook is emphatically acousmatic; as such, the relationship in his work between pitched and noise materials is working towards a more subtle end than the aforementioned albums. 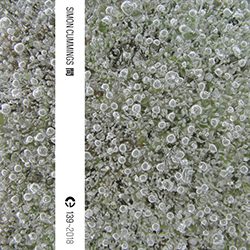 The simplest work heard here, Narrows (also the earliest work on the disc, composed in 2009) demonstrates that relationship clearly, metallic pitches and a gentle granular texture placed side by side, playfully morphing into each other. Fraser sometimes allows one element to dominate, as in the overt pitch focus of Aerial Vapours, where a dreamy opening leads to warm retro synth chords and upward-sliding bands of harmony. They dissipate like sparks, dissolve into pulsating bursts of froth and shimmer, but pitch is omnipresent. The Visions of Ezekiel emerges, aspirated, as from immense tubes or tunnels, leading to a series of episodes full of vivid juxtapositions of opposites; middle-grounded textures are overlaid with tart, squelching notes that move with the pained grace of an arthritic acrobat. Texture takes over, a rippling surface moving through empty wind into complex pointillistic chatter. Drones wax and wane, and sometimes prevail, but the juxtapositions are constant and superbly measured. Dark Camber‘s real showcase, though, is the three-part work Thews and Limbs, completed in 2012. One of the things that makes the work so outstanding is its willingness to let go of restraint, ramping things up in terms of both intensity and expressivity. The spontaneous nature of Fraser’s material is intoxicating, a hypercomplex narrative of ferocious twisting dissonance and glades of refreshing consonance, reinforced by confined spaces and juddering reverberation. Thews and Limbs occupies a genuinely stunning soundworld, in which the twin poles of noise and pitch become intertwined and effortlessly pass back and forth between each other such that timbral boundaries become meaningless. Acoustic sounds are momentarily evoked—among them voices, and an accordion—but it’s the way that overtly synthetic sounds can so demonstrably emote that’s most deeply impressive. Nowhere is this better encapsulated than in the eruption that takes place a minute into the final movement, the immense cry of a myriad imaginary sonic souls. A truly brilliant debut release, and easily one of the best albums of the year.